Y. Chang, and H. Yen, Constrained floorplans in 2D and 3D, Theoretical Computer Science, Vol. 607, Part 3, 320-336, 2015. Y. Chang, and H. Yen, A New Approach for Contact Graph Representations and Its Applications, 14th Int'l Symp. on Algorithms and Data Structures (WADS 2015), Victoria, Canada, Aug. 2015. Y. Chang, and H. Yen, Unfolding Orthogonal Polyhedra with Linear Refinement, 26th Int'l Symp. on Algorithms and Computation (ISAAC 2015) , Nagoya, Japan, Dec. 2015. Y. Chang, and H. Yen, On Orthogonally Convex Drawings of Plane Graphs, 21st Int'l Symp. on Graph Drawing (GD 2013), Bordeaux, France, Sept. 2013. The aim of Information visualization focuses on the study of visual representations of abstract data in order to help people in exploring, analyzing, and understanding the data. We are interested in both theoretical foundations as well as practical applications of information visualization. 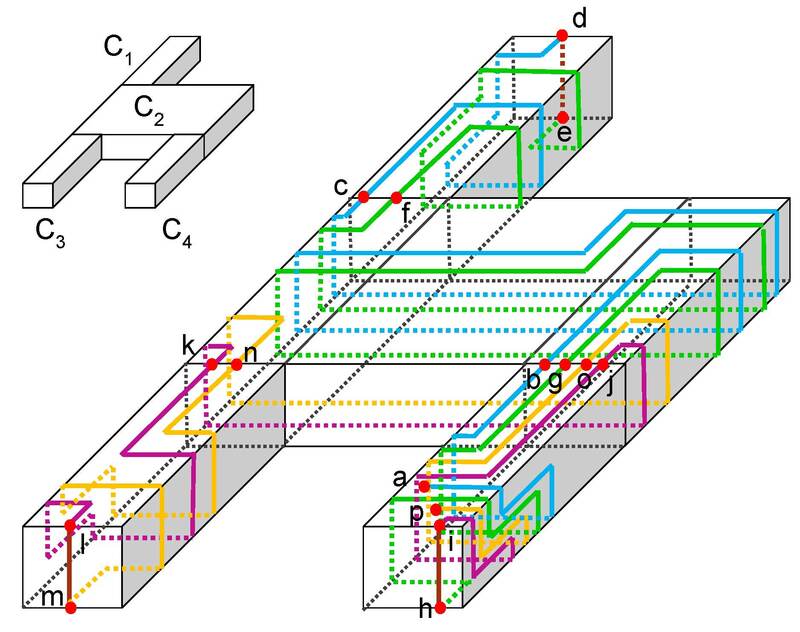 H. Wu, S. Takahashi, D. Hirono, M. Arikawa, C. Lin, and H. Yen, Spatially Efficient Design of Annotated Metro Maps, Computer Graphics Forum, Vol. 32, No. 3, pp. 261-270, 2013. 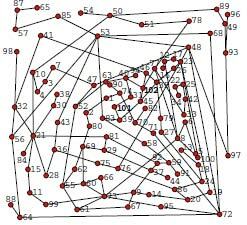 C. Lin, H. Kao, and H. Yen, Many-to-One Boundary Labeling, Journal of Graph Algorithms and Applications, Vol. 13, No. 3, 319-356, 2008. Among various mathematical models that have been proposed in the disciplines of computer science and engineering, automata represent the most popular abstract model whose study dated back to the early 60s and since then, a rich body of deep and exciting results have been accumulated in the literature with respect to a wide variety of automata and their respective languages. In the past decade, the mainstream in the research on automata theory and formal languages has gradually switched from pure theoretical studies (such as issues related to expressive power, language hierarchies, closure properties and decision problems, etc) to a more balanced research between theory and application, in particular, applying various automata (and the theory behind them) to reasoning about the behaviors and computations of real-world hardware/ software systems. 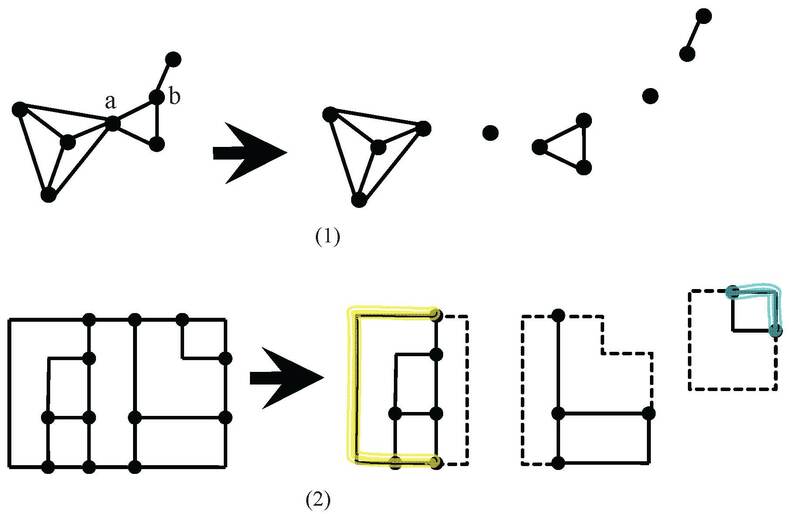 Petri nets, introduced by C. A Petri in 1962, provide an elegant and useful mathematical formalism for modelling concurrent systems and their behaviors. In many applications, however, modelling by itself is of limited practical use if one cannot analyze the modelled system. As a means of gaining a better understanding of the Petri net model, the decidability and computational complexity of typical automata theoretic problems concerning Petri nets have been extensively investigated in the literature in the past four decades. Our research on Petri nets focuses on decidability/complexity analysis of various problems associated with Petri nets (equivalently, vector addition systems, vector replacement systems, and vector addition systems with states).